It is with great sadness that the family of Mary Jane Jagger McDonald announces her death at the age of 81 on Monday, August 6, 2018. Mary Jane was known to many for her intelligence, work ethic, sense of humor, and ability to bring out the best in others. These were gifts to all who had the good fortune to know her or work with her on her many professional and volunteer efforts. Beyond that, Mary Jane was an incomparable and loving mother to her three children, Steve (Jane Rindsberg) McDonald, Anne (John) Peterson, and Nancy (Bret) Butters. At home she could be counted on to provide encouragement, guidance, and an endless supply of love. Mary Jane was also a devoted grandmother to her five grandchildren, Tee (Lauren) Butters, Kendall (Mike Farrell) Butters, Haley Butters, Spencer Peterson, and Emma Peterson. Only days before her death, Mary Jane was overjoyed to become a great grandmother to Thomas Arden Butters III. In addition to her family, Denison University was the center of Mary Jane’s universe. She graduated from Denison in 1959 and went on to become Vice President for University Resources and Public Affairs. Over the course of her 26 years there Mary Jane served five presidents and led pivotal fund-raising efforts that changed the landscape of the campus and fueled boundless opportunities for students and faculty. She was a wise and beloved mentor to the scores of staff she supervised. 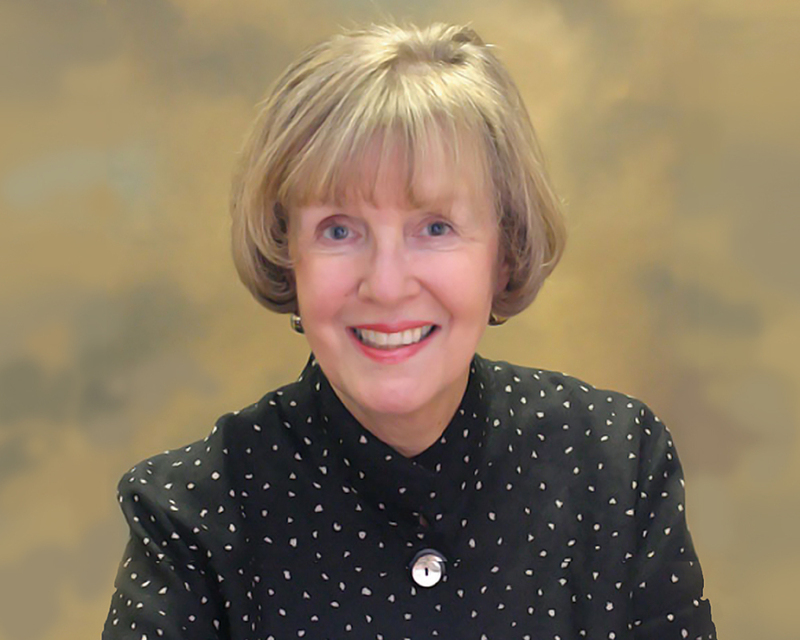 In retirement, Mary Jane remained active as she continued to support, encourage and guide the many people from throughout the community who were eager for her company and her sage advice. Inspired by her father, Mary Jane was active in Ohio Democratic politics, campaigning for John F. Kennedy at the primary polls just weeks before giving birth to Steve, attending the tumultuous 1968 Democratic Convention in Chicago, and holding key positions in the John Gilligan for Governor and John Glenn for Senate campaigns. She also served as the Ohio co-chair for Ed Muskie’s presidential run, and formed lifelong friendships during her time working actively in the political arena. Knowing she would not be able to get to the polling station in her final days, Mary Jane made sure to submit an absentee ballot supporting the Democratic Party in the recent Congressional special election, and made certain that those near to her did the same. Mary Jane was also known to break boundaries — in all the best ways. She was the first woman to serve on the Ohio Rhodes Scholar Selection Committee, the first woman and non-lawyer chosen as chair of the Ohio Elections Commission, the first woman to be elected to the Granville Rotary, and Denison’s first woman vice president. The Licking County community will remember Mary Jane as an indefatigable and ardent volunteer. Over the course of her lifetime she served as a member of the U.S. 6th Circuit Court Judge Nominating Commission (to which she was appointed by President Carter), the Licking Memorial Health Systems Board, the Licking County Port Authority Board, the Call to College Board, the Hospice Foundation Board, and the board of the Lindorf Family Foundation. In 1996, she was recognized as a Licking County Woman of Achievement, and in 2001, she was honored with the Licking Memorial Hospital Lifetime Achievement Award. While she loved to sit quietly with her New York Times crossword puzzle and her cup of coffee, she enjoyed being with others even more. No one was a stranger, and Mary Jane relished every opportunity to meet people and learn about their lives. She appreciated a good debate, any topic would do, and she was a remarkably good listener as well. Like her mother before her, she always made those around her feel as though they were the most important people in the world. Her many close friends will feel her loss as deeply as her family does. Mary Jane lived a life of giving to her community and was particularly interested in improving the lives of young people through education. In lieu of flowers, the family asks that contributions be made to A Call to College (314 Granville St., Newark, OH 43055), The Boys & Girls Club of Newark (PO Box 271, Newark, OH 43058-0271), or the Paul W. and Evelyn C. Jagger Endowed Fund at Denison University (100 West College St., Granville, OH 43023). A public memorial service is planned for October 27, 2018 at Swasey Chapel at 10:30 A.M. on the Denison University campus. A recption will follow on the Third Floor of the Slayter Student Union.